As an entrepreneur or small business owner, you might find yourself in a chance meeting with a CEO, at a sales presentation or in a competitive job interview. When you make the most of this important meeting your path could change forever. So what do you do when you’re prepared to deliver a one hour talk and the next thing you know they want you to do it in 15 minutes? This challenge is more common than you may think. And in today’s competitive market, no business skill is more essential than being able to share your message, and get to the point –quickly. If you want me to speak for 2 minutes, it will take me three weeks of preparation. If you want me to speak for 30 minutes, it will take me a week to prepare. But, if you want me to speak for an hour, I’m ready right now. It’s always easier to give a longer talk – but that doesn’t mean the audience wants to hear it, or sit there that long. It’s our responsibility (our burden), to share our message in less time, and that requires preparation. Begin by asking the tough questions… What do listeners complain about after hearing a presentation? And, how can I make my talk better in the time I have been given to present? Consider the following Common Listener “Push back” Comments shared after a presentation; and then, when you are in the planning stage of crafting your message, build your talk with the intention to blow right past those common complaints. Push back #1: I’ve heard this all before. Self-edit trigger question — How do you open your talk in a fresh and timely way that creates an awakening in the mind of the listener? Push back #2: I don’t need this. 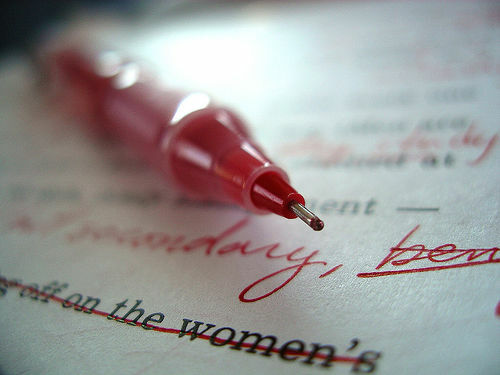 Self-edit trigger question — Ask yourself why do they need you, your company, and why now? Push back #3: I don’t think this is going to fix my problem. Self-edit trigger question – Did you really show and illustrate for the listener the solution for how you can fix their problem? Push back #4: I don’t see myself doing that. Self-edit trigger question – Did you help the listener “see their possible new future” and help them to visualize the change as worthwhile? Push back #5: I’ll think about it. Push back #6- I’m bored. Self-edit trigger question – Is my talk interesting, fresh, entertaining, insightful and/or fun? Did I tell a good story and use clever analysis? Push back #7: This is taking too long. Self-edit trigger question: Did you let them know up front how long your talk would be, and what you were going to cover? Did you stay within the time limits they requested? Push back #8: Where is this presentation going…he’s all over the board! Self-edit trigger question: Begin with your goal…ask yourself—What do I really want to have happen as a result of my “talk or presentation” when I share it with others? Does it take the listener on a journey, with a clear beginning, middle and end…is there a sense of progression to your message, leading to a natural conclusion and action step? After reviewing these listener “push back” comments, and applying the above questions to your next presentation scenario, you will be poised to begin an effective self-analysis that can lead you to quality self-editing – and a great talk!